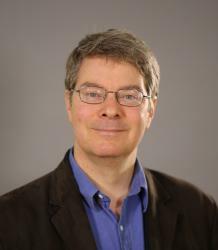 Philip Schwyzer is a specialist in early modern English literature, with interests including William Shakespeare, Edmund Spenser, and the literature of personal and cultural memory. Much of his research happens on borders and boundaries, including those between the Middle Ages and the early modern period, between literature and archaeology, and between England and Wales. His books include Shakespeare and the Remains of Richard III (2013), Archaeologies of English Renaissance Literature (2007), and Literature, Nationalism, and Memory in Early Modern England and Wales (2004). He is Principal Investigator on two major research projects: Deploying the Dead (DEEPDEAD), funded by HERA, and Inventor of Britain: The Complete Works of Humphrey Llwyd, funded by the AHRC. He was recently PI on the Past in its Place Project, funded by the ERC. He is editing Michael Drayton’s great topographical and historical poem, Poly-Olbion, with Professor Andrew McRae, and was Co-Investigator on the AHRC-funded Poly-Olbion Project.